Are you looking for RV Insurance? If so, it can be very time consuming shopping for rates through each individual insurance company out there. It’s even harder to figure out which companies are trustworthy and which ones are not. And how do you know if you’re going to get quality coverage at the best price? Nowadays, the easiest way to shop for RV Insurance is by getting an online quote from a trusted agency. 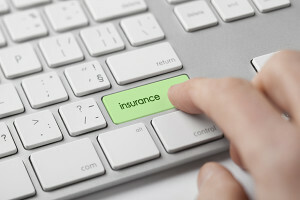 It will take a lot of the guesswork and hassle out of searching for the right coverage at the right price. Luckily, that’s exactly what Quick RV Insurance Quotes does for you. We shop rates from multiple top carriers to find you the best options out there. Our RV Insurance Specialists will help you get the exact coverage you need to fit your lifestyle. You might not even know you need a certain type of coverage, or that it could be so affordable. My wife and I always loved the great outdoors. We finally realized our dream of owning our own RV and exploring the open road. We knew exactly which rig we wanted and saved up the money to buy it. However, we never really considered everything that went along with having an RV, like insurance. 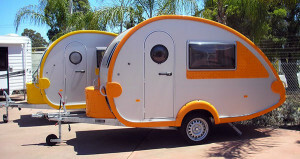 As we began our search, we discovered Quick RV Insurance Quotes. During the process, we soon realized that a standard auto insurance policy would not sufficiently cover our new home-on-wheels. In fact, without the proper RV Insurance, our rig’s trimmings, stairs and awnings would all be neglected in the case they were damaged. We would have to pay for any repairs out of our own pockets if we chose to only have car insurance. That didn’t sound like a great plan considering we just made a huge investment in a motorhome. Additionally, we wanted to protect our investment the best we could. That meant Specialty RV Insurance was our best and most affordable option in the long run. Getting an online quote that compared multiple carriers at once was definitely the easiest route for us. With Quick RV Insurance Quotes, were able to view several policies at once and compare different levels of coverage side by side. Comparing rates was easy, too. Receiving the quote was free and there was no obligation to make a purchase until we were absolutely ready. We never expected that searching for RV Insurance could be so simple, quick and hassle-free. There was also an RV Insurance Specialist ready to assist us and answer any questions we had. They informed us of all our coverage options and levels. They made helpful suggestions based on the information about our lifestyle that we provided. It truly felt as though they wanted to find us the best deal on RV Insurance while making sure we were covered in all situations. Basically, they really knew their stuff. Once we selected the policy we wanted, we were able to get coverage quickly. With the online quote, we knew exactly what we were getting and how much it would cost. We got coverage almost immediately, which was perfect timing for our first road trip of the year. It definitely saved us a lot of time and ensured we we got the best deal. It was great knowing that our hard-earned investment was financially protected from the dangers on the road. If you’re dreaming about purchasing an RV, take a moment to go online and get a Quick RV Insurance Quote first. This will give you better peace of mind that your RV will be financially protected in the event of an accident. It’s also reassuring to know that you’re covered in case of any damages while your rig is in storage. 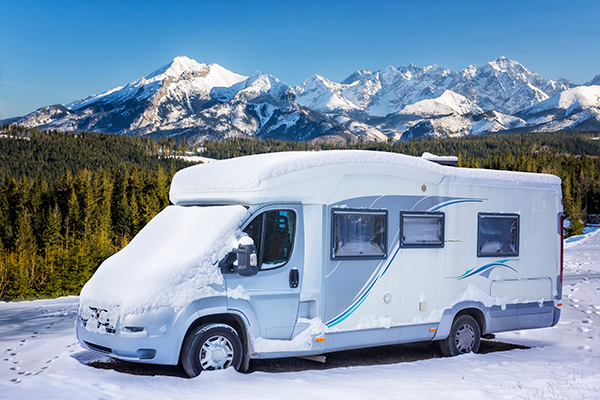 Speak with an RV Insurance Specialist about your coverage options before making the investment. You’ll be better prepared for the unknown. This content is offered for educational purposes only and does not represent contractual agreements, nor is it intended to replace manuals or instructions provided by the manufacturer or the advice of a qualified professional. The definitions, terms and coverage in a given policy may be different than those suggested here. Such policy will be governed by the language contained therein. No warranty or appropriateness for a specific purpose is expressed or implied. ‹ Do You Need Year-Round Boat Insurance?